A photo showing presence of a Royal Bengal Tiger in Malnichhara Tea Estate area in the district went viral on the social networking site Facebook drawing huge public attention. 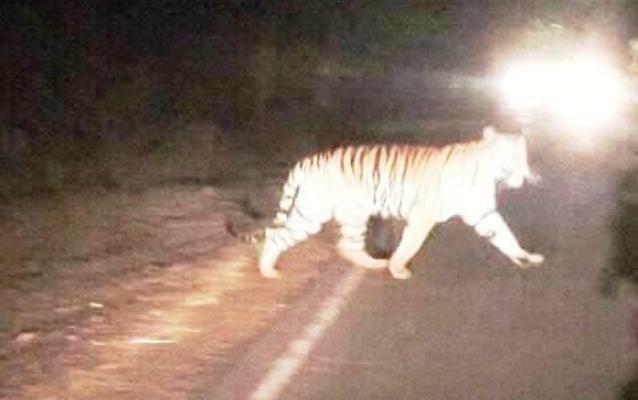 One Mohammad Mansun saw the tiger sitting on a road side while passing Malnichhara Tea Estate area on the Airport Road here on Tuesday night and uploaded the image of the tiger on Facebook. The forest official launched ‘camera tracking’ to detect the position of the tiger, he said. Recently, the forest official detected the pugmarks of tiger in the Malnichhara Tea Estate area. Besides, the local people were a little bit worried following the tiger’s footprints and a corpse of a cow in the area.